If you don’t have your Halloween costumes yet, you better get a move on! 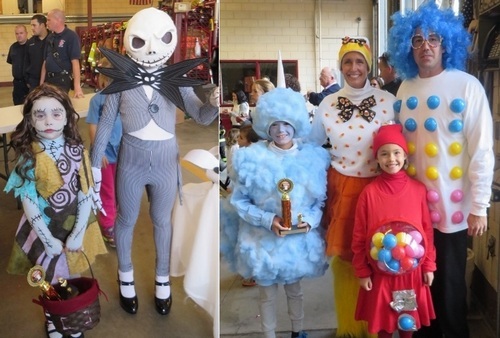 Sunday, October 28, is the Southborough Firefighter’s Association’s annual Halloween costume contest and parade. That may seem like plenty of time to get ready. But if you’re striving for a win – based on past competitions – you should invest some time to get creative. That doesn’t mean you need a creative costume to enjoy the fun. Everyone who participates is rewarded with plenty of treats. Trophies are traditionally awarded by age groups and themes. Past categories included the most creative costume, scariest, and cutest costume. And of course there’s the coveted “Captain’s Prize”. Last year, the event was called at the last minute due to rain. Let’s keep our fingers crossed for better luck this year. Can we at least keep the rantings to articles where it’s appropriate? This is about kids, costumes and firefighters…. enough with the outrage and overuse of capitalization. Louise let me know that she hadn’t intended to post under this story. We are working on moving the comment.